Microsoft allows you to store your important files and folders in its own cloud storage known as OneDrive. You can easily sync all your personal files, documents, folders and settings across all your devices and use them anywhere you want. Though it is considered to be among the best cloud storage, there are times when OneDrive does not work as intended. Recently, many users have reported the problem of OneDrive not syncing. The cloud storage services get updated from time to time and go through some changes for improving the experience of users. However, the changes do not happen as intended and leave some bugs. The problem of OneDrive not syncing is common among users and the reason for it may be anything. It might be because you are running an older version of the app or you could be running out of space in the Cloud. Regardless of the reason, we are here to fix the OneDrive not syncing issue on Windows. One of the easiest ways to solve this issue is to close and open OneDrive on your computer. Most of the problems get solved with this easy step. 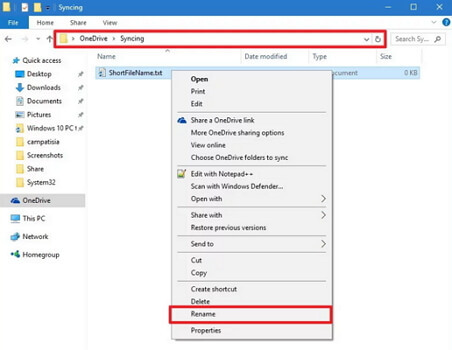 Follow the steps below to restart OneDrive on your computer. Step 1. On the notification area of your computer, right-click the OneDrive icon. (If there is no icon, you have to select the option “Show Hidden Icons”. Step 2. From the options shown, click on “Exit” and close the desktop program. Step 3. 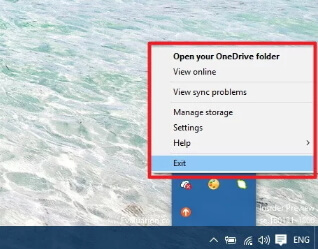 Open the OneDrive app from the Start menu. The OneDrive folder will be opened that indicates the app is running. This might solve the syncing issue. Often the OneDrive not syncing issue occurs because there is not enough storage on PC. The storage on your PC should be the same as the storage you are using in OneDrive. OneDrive will not sync the files if there is no local storage available. Step 1. Check how much storage you are using on OneDrive and then compare it with the storage in your computer. Step 2. Click Start and search OneDrive. Open the desktop client app. Step 3. Select the files that you want to sync with the computer and select the location. If you are using a brand new computer, you might have not completed the OneDrive setup. This might be the reason for OneDrive not syncing issue. Follow the steps below to complete the OneDrive setup. Step 1. Open Explorer on your Windows. Step 2. In the left pane, the OneDrive folder will be seen. Click on it to open the wizard. Step 3. Select all the files and folders that you want to sync and complete the setup. In most cases, Windows will establish the connection between your account and the OneDrive directory. So, if there is any problem with the connection, you will experience the OneDrive syncing issues. You can solve this issue by following the steps below. Step 1. Open Windows Settings and go to the Accounts section. Step 2. Tap on Email & app accounts. Click on “Add an account”. Step 3. You can now add your OneDrive account manually. Step 4. Enter the email address and password and sign in to your account. The most common mistake the users do is they keep the file pathname longer. According to the Microsoft guidelines, the file pathname should not exceed 255 characters. 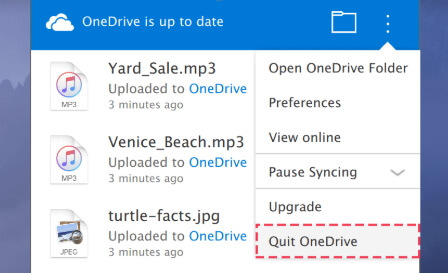 So, if you have created a folder or have a longer path name, you might experience OneDrive sync issue. Step 1. Open OneDrive and check all the folders stored on it. Step 2. Rename it to a shorter name and check if the issue gets resolved. 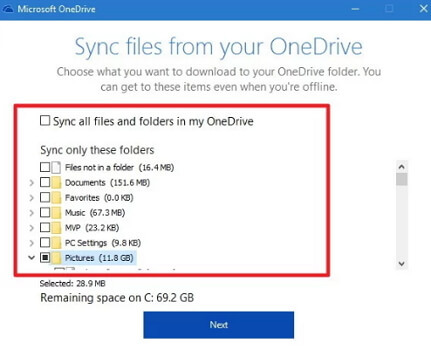 When you make changes to the folder that has files you want to sync or when you upload many files using OneDrive, you might come across conflicts. If at any time you notice conflicting content, rename the folders or files and try to sync again. The issue might also occur if the account settings on your personal computer have a problem, preventing the OneDrive to sync your personal files. The only solution, in this case, is to unlink your account and set up the OneDrive account again. Step 1. On the notification area of your computer, right-click the OneDrive icon. (If there is no icon, you have to select the option “Show Hidden Icons”). Step 2. 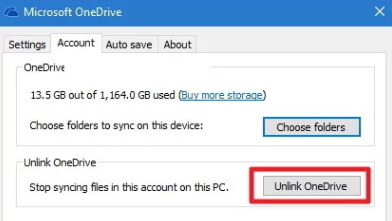 Click on Settings and then click on “Unlink OneDrive” button. Step 3. Start the setup process and choose all the files to sync to your computer and select the location. If you have tried all the above methods and nothing is working, you can try resetting the OneDrive. Step 1. Open “Power User” menu and choose “Command Prompt (Admin)”. Step 2. Type this command - %localappdata%\Microsoft\OneDrive\onedrive.exe /reset and press Enter. Step 3. To verify if the command has worked, ensure that the OneDrive icon disappeared from the notification area. Step 4. The icon will reappear within two minutes according to Microsoft. If it doesn’t, open Start and search for OneDrive. Click on it to restart OneDrive. Recently, even Mac users were seen complaining about this issue. If you are using Mac, you can try the following methods to fix OneDrive not syncing issue. Firstly, you need to check if the OneDrive process is running on your computer. Step 1. Either you can check the OneDrive icon on the menu bar or check from the Activity Monitor. Step 2. 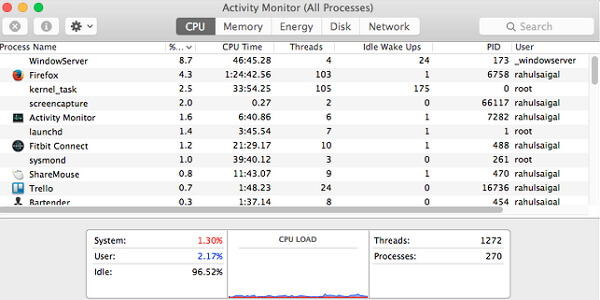 In the Applications folder, open Utilities folder -> Activity Monitor. Step 3. Tap on the CPU tab and look for OneDrive under Process Column. Step 4. If you find OneDrive is not running, you can use Finder or Spotlight for starting it. If you are facing the OneDrive not syncing problem, you need to check and compare the disk space of your Mac and OneDrive storage space. You will definitely have to delete the files and folders if there is not enough space on your Mac or OneDrive. If the OneDrive app on your Mac is not up-to-date, there are chances of experiencing various problems. If you install OneDrive using the standalone installer, the app will update automatically without using the Mac App Store. But, if you install OneDrive from the App Store, periodically you need to check for updates within the OneDrive app. One of the simplest ways to solve the not syncing problem is to restart OneDrive on your Mac. Step 1. Click on OneDrive in the menu bar of your Mac. Step 2. Click “Quit OneDrive”. Step 3. Search for OneDrive using Spotlight and open it. If none of the above methods worked for you, you can also try resetting the OneDrive on your Mac. Follow the steps given below to reset OneDrive. Step 1. Exit OneDrive and find it in your Applications folder. Step 2. Right-click and choose “Show Packaged Contents”. Step 3. Go to Contents/Resources folder. Step 4. Double tap on “ResetOneDriveStandaloneApp.command” or “ResetOneDriveApp.command”. Step 5. Open OneDrive and complete the setup process. If you are facing difficulties using OneDrive cloud service to store and sync your files and folders, you can use alternative software. 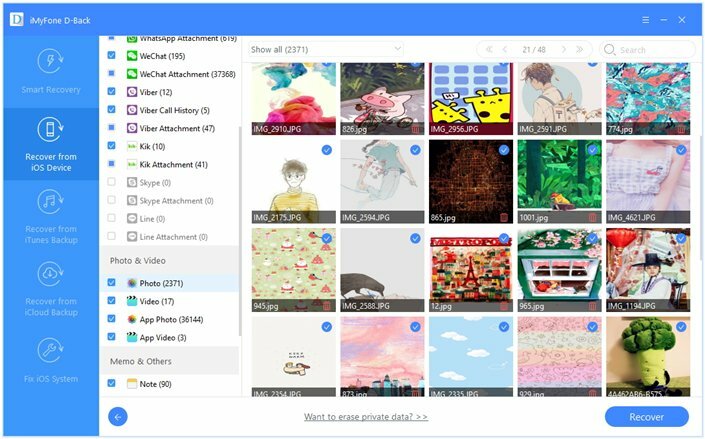 iMyFone D-Back is the best OneDrive alternative as you can securely store all your files or data on your computer. 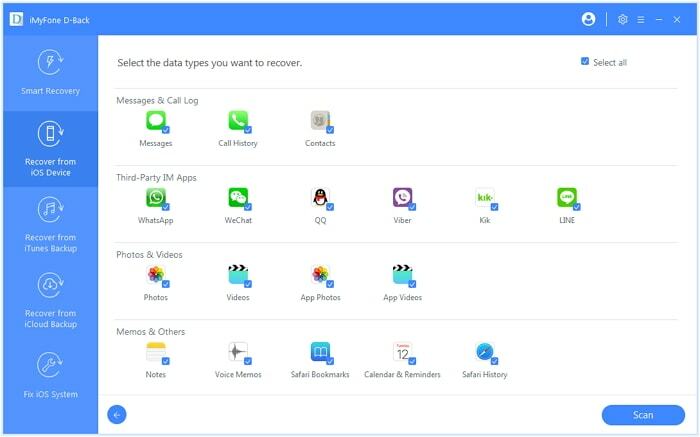 It can be used for the lost and existing data of your iPhone. It is an advanced tool and is made using the latest technology. Using this tool, you can recover up to 18 file types on any model of iPhone and it is also compatible with all the iOS versions. It can be installed both on Windows and Mac computer. It also maintains the privacy of the user. iMyFone D-Back allows you to sync your iPhone data to computer directly. Follow the steps below. Step 1.Open iMyFone D-Back tool on your computer. Click on “Recover from iOS Device” and click “Start”. Connect your iPhone to the computer using a USB cable. 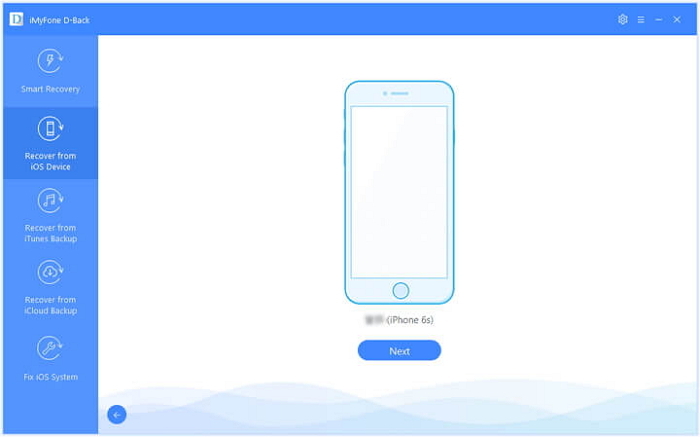 The software will automatically detect your iPhone. Click “Next”. Step 2.All the file types will be displayed on the screen. Select the files you want to sync with computer and click “Scan”. Step 3.When the scan is completed, all the files will be displayed. You can either select individual files or all of them and Click “Recover”. You will need to create a new folder or select an existing one to store all the files you want to sync with your computer. When the process is over, all the files will be stored and synced with your computer. Another benefit of using D-Back is that you can easily export the iPhone data from either iTunes or iCloud backup without restoring it to the device, which is not allowed by iTunes/iCloud. If you are facing the OneDrive not syncing issue on your Windows or Mac, you can view all the methods given in this guide. The above methods are tested and have successfully solved this issue. Of course, you can choose any of the methods depending on your own situation and problem. If you have any query regarding the methods or the issue is not getting solved, you can leave your comments below to let us know.